coincidentally, i appeared to have had a south-african theme going on with my brunch decisions last weekend. first up was three one2one in richmond with it’s rhinos (my favourite african animal); followed by café largo in brighton east with it’s boerewors (my favourite south african food). boerewors you ask? you’ll have to keep reading – i’ll explain below! 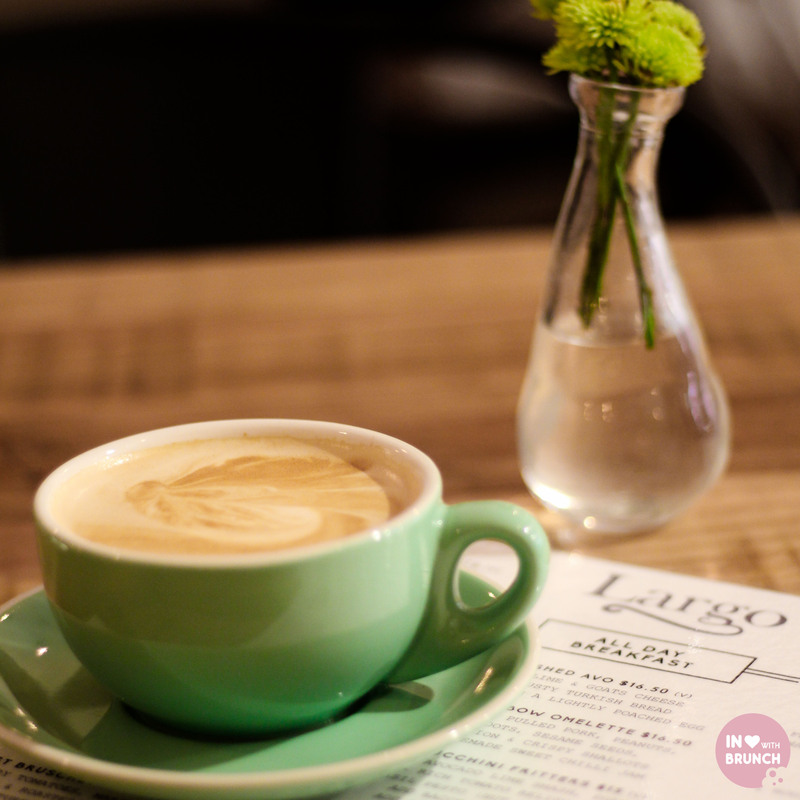 café largo was only recently opened (in july 2015) with a focus on serving quality espresso and fine food. it has a ‘warm, rich and intuitive fit-out, and is striving to be the place for the brighton community to meet, talk, eat and drink in a comfortable nurturing atmosphere’. and certainly, this is exactly the vibe i got during my leisurely brunch. if you’re a local around the thomas st precinct, you should be jumping for joy right now… as there have previously been few other café options on the street. cafe largo has a focus on using locally-sourced and high quality ingredients (amongst them laurent breads, green’s eggs, ocean made seafood, dr. marty crumpets, pastries from noisette, doughnuts from bistro morgan, kombucha from extra mile, prana chai, grounded pleasures hot chocolate, and larsen and thompson teas. i also love that as much as possible – including jams and dressings – are homemade on-site. 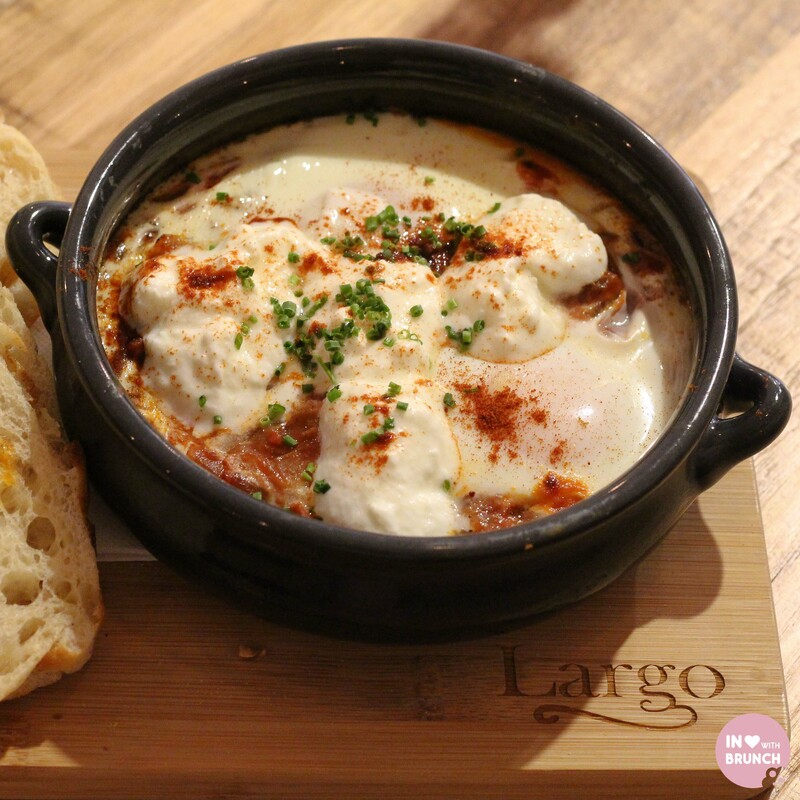 with a large south african community in the bayside area, i love that cafe largo have adapted their shakshuka dish to include the much-loved boerewors (translated as ‘farmer sausage’ in afrikaans) in lieu of the more-traditional chorizo. boerewors usually contains a combination of beef, pork and lamb mince and a spice mix that includes coriander, pepper, allspice, nutmeg + cloves. it is most recognisable by the coil shape that it is rolled into, and is one of my favourite childhood memories of growing up in south africa. my generous serve of shakshuka was perfectly cooked – yolky eggs and a rich vibrant tomato sauce, and the boerewors (which is often served with mealie pap and a tomato chutney) made for a perfect flavour combination. 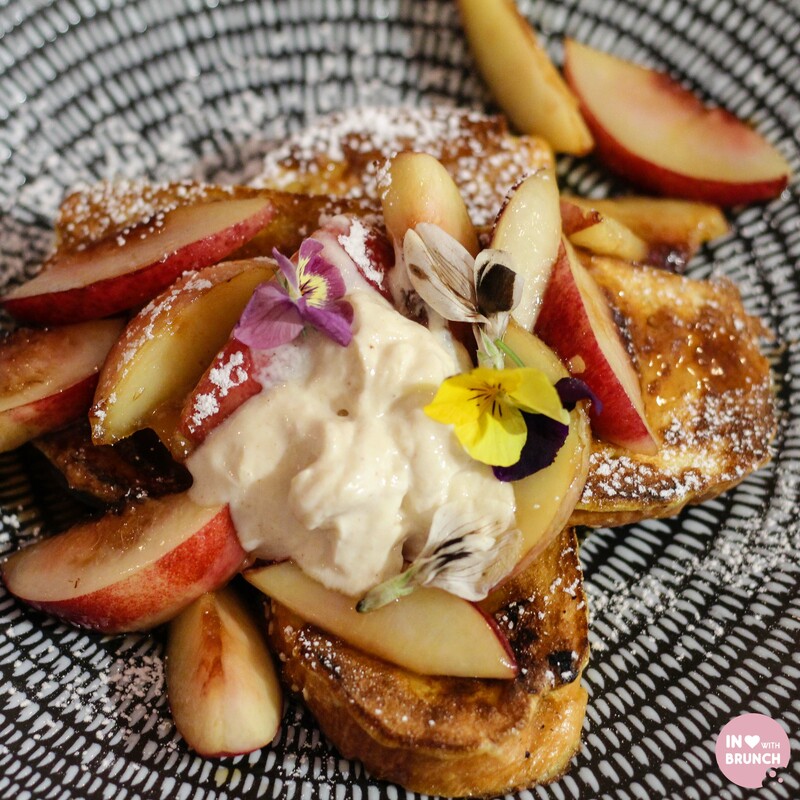 these guys are really paying attention to the local community – opting to use challah bread (a traditional jewish bread) in their french toast dish. it contains the same fluffiness and grills similarly to a brioche, but with a crunchier and less-sweet crust. the use of nectarines provided a beautiful sweetness and softness to the fruit element and the labnah was light and not overpowering. i can imagine that this dish will be fairly seasonal, so expect that the fruit component will adjust over time, but overall this was a beautifully put-together dish – well-balanced and perfectly satisfying. 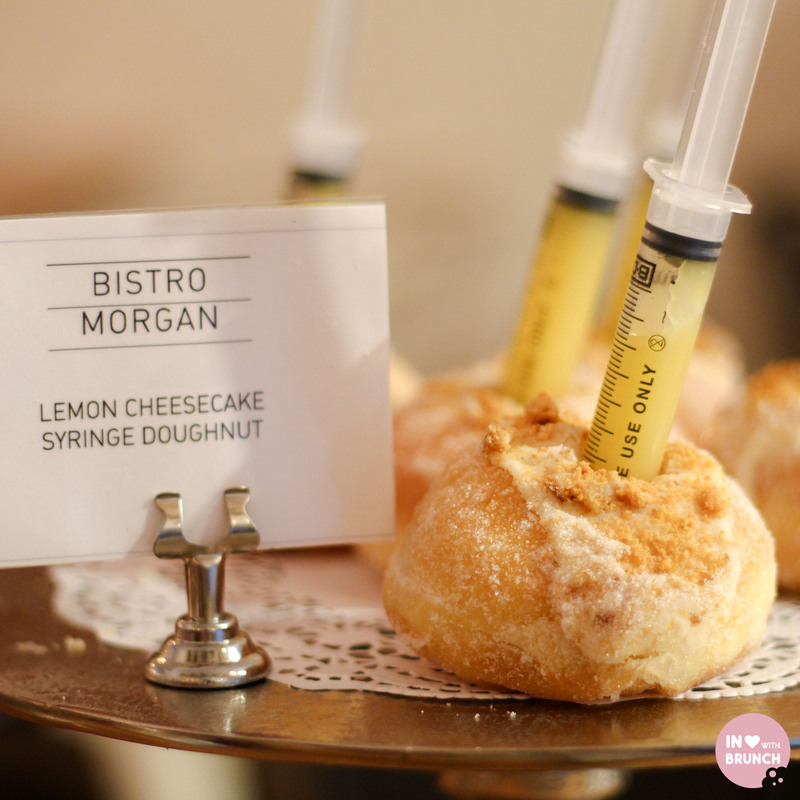 restaurant manager rob mauldon (previously from hawk + hunter), as well as consulting to new and existing cafes to get their menus, processes and staff up to a melbourne-esque standard, has also been a long-term supporter of pastry-prodigy bistro morgan. how could you not when a 14-year old is creating delectable donuts like this!? 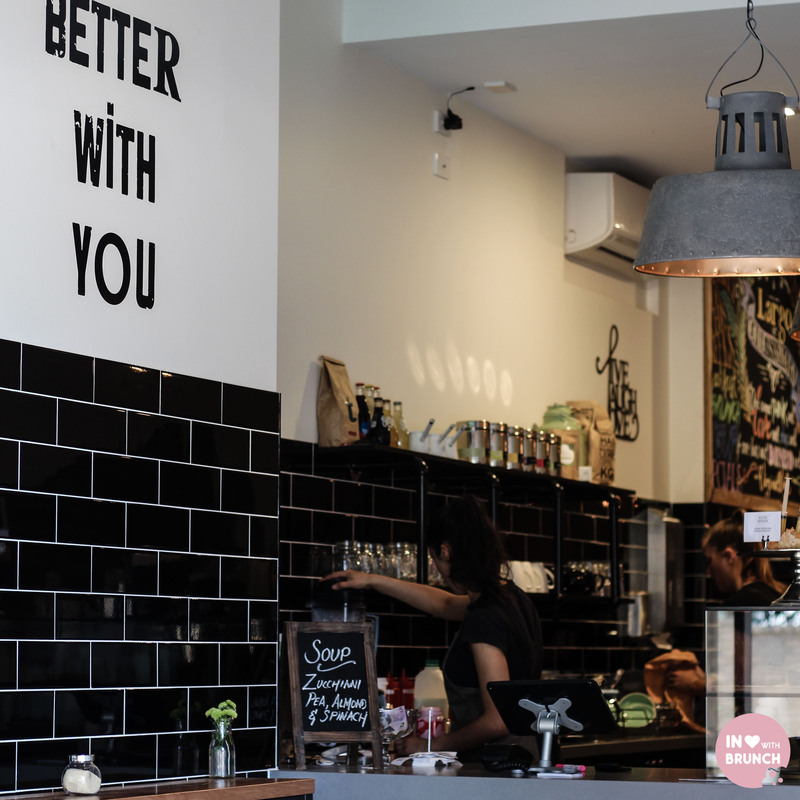 rob runs a customer-focused and efficient front-of-house, but also lends a friendly and approachable persona to the cafe – greeting the locals by name and ensuring everything is running smoothly. the house blend is five senses dark horse (which i tried… and liked… recently at st rose in essendon). 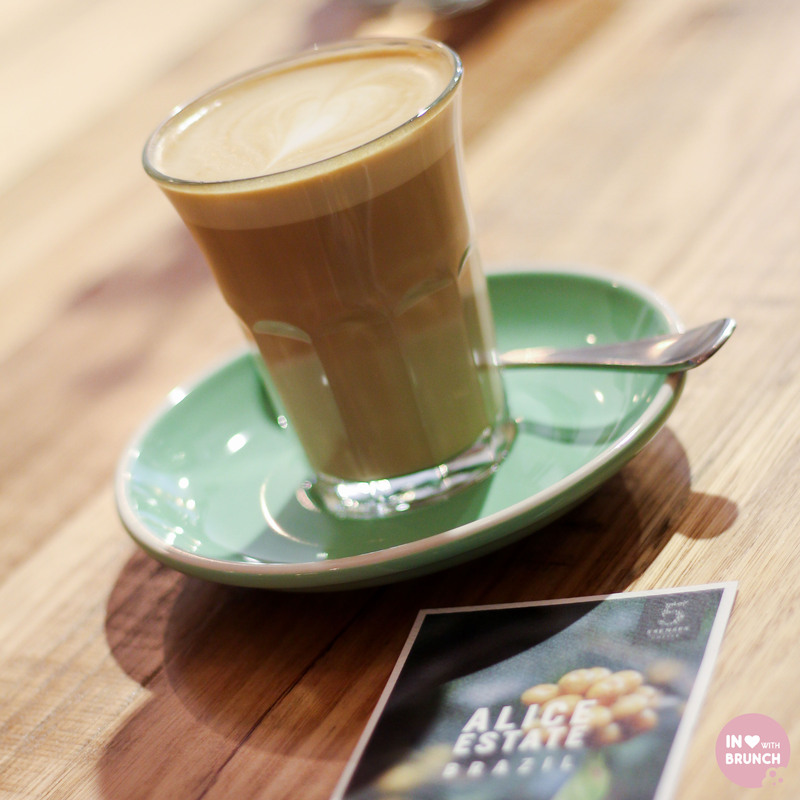 so instead this morning, i was offered the ‘alice estate’ – a brazilian blend produced in the mountainous terrain of carmo de minas which, on top of being 1200 metres above sea level, also has a reputation for producing some of the best brazilian speciality coffees. the flavour was beautiful – punchy and consistent, given that it was a single-origin bean, with a very full-bodied flavour that coated the mouth with a nutty-butter taste. 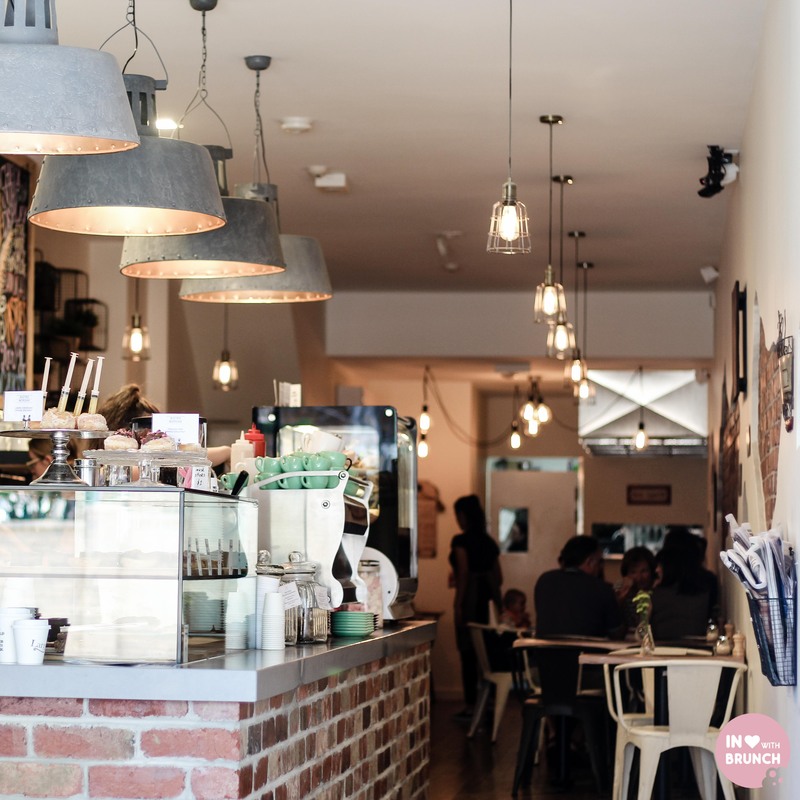 if i had to pick (and it is a very minor observation) i found the lighting on the inside tables a bit dark – perhaps an inevitable consequence of having a large and accessible counter and coffee bar running along one side of the cafe. certainly not a deal breaker, but next time i’d likely opt for the large high bar at the front or the footpath tables – as i like to fill my weekends with as much natural/bright light as possible (too many hours spent at an office desk during the week). 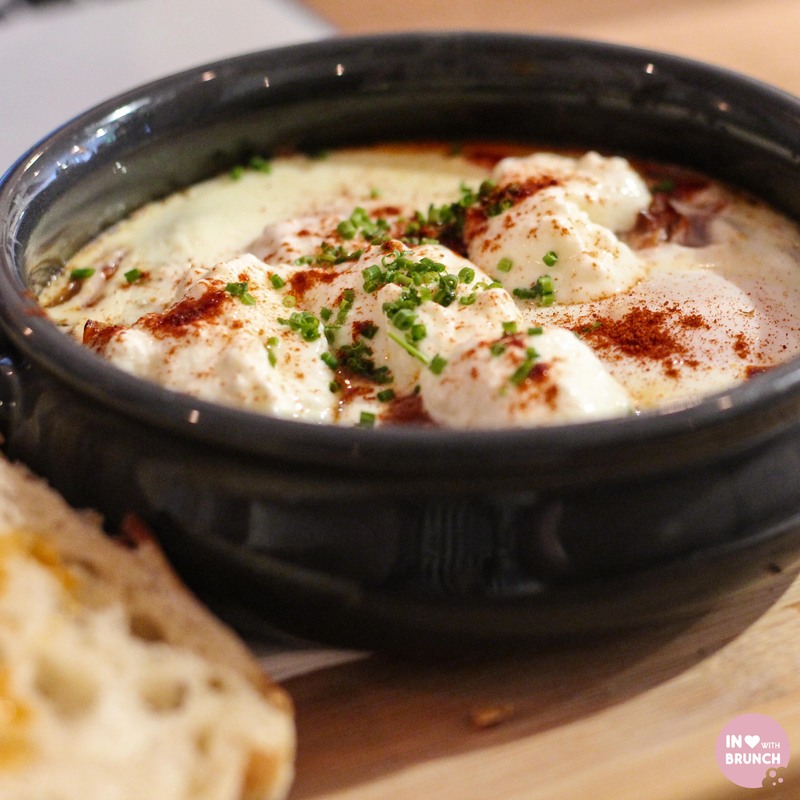 that being said, cafe largo is a truly quintessential local cafe that melbournites loves – be it for a mother’s weekday get-together, a family meal, a casual catch-up or a quiet spot to work. an extra bonus is that there is free wi-fi and also a dog-friendly footpath dining area for those with pooches. a truly relaxing and homely space, serving great food and friendly service. i’ve no doubt, the locals will love it and i wish it a long and successfully residency on thomas st! verdict: cafe largo, brighton is better with you in it!